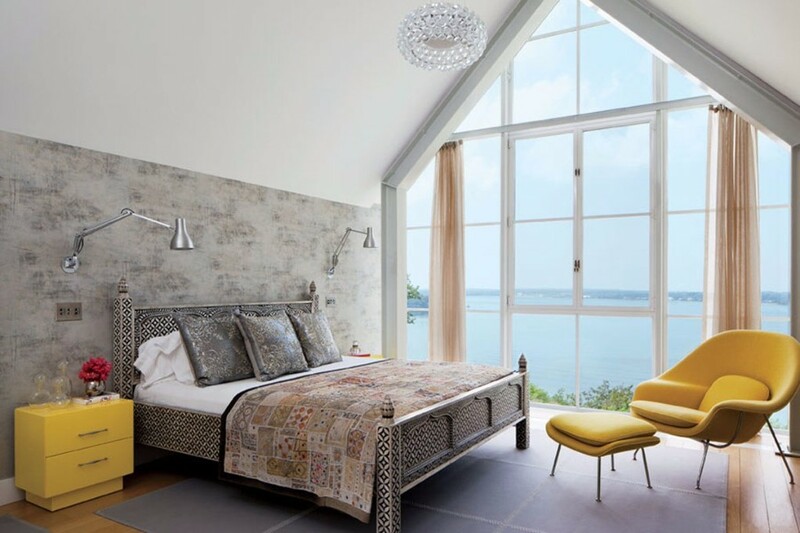 Bedroom design in cream tones by Angie Hranowsky in Coastal Style. 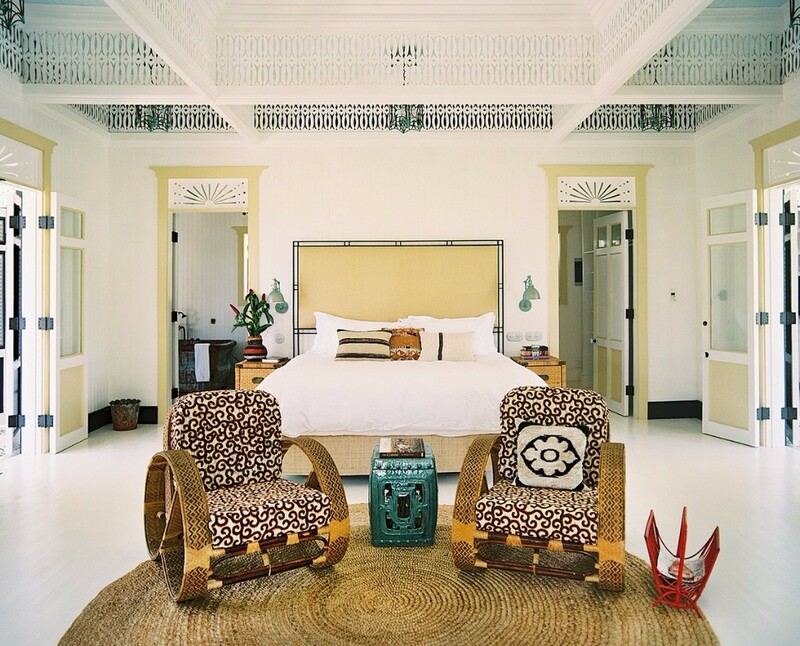 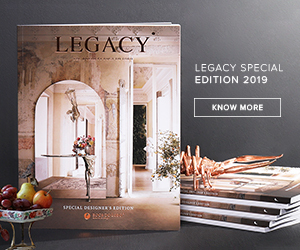 Notice the gorgeous chandelier and beautiful armchairs with geometric patterns. 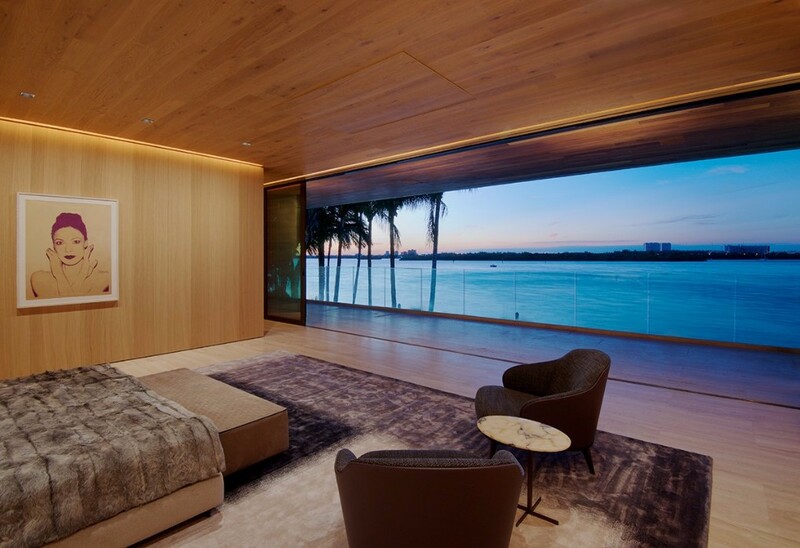 Bal Harbour Bedroom by Oppenheim Architecture, with gorgeous washed down rug and furry blanket plus a gorgeous ocean view. 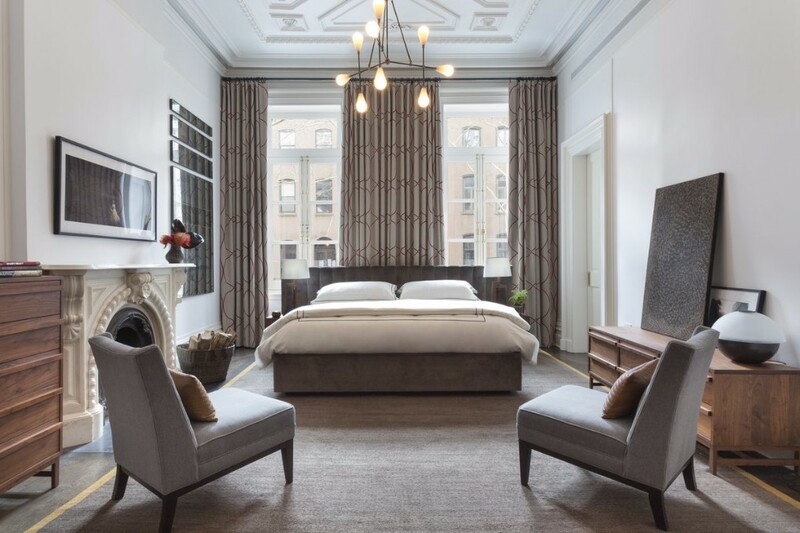 Beautiful bedroom design in gray by Michael Haverland Architect, featuring a gorgeous yellow nightstand and modern Italian chair. 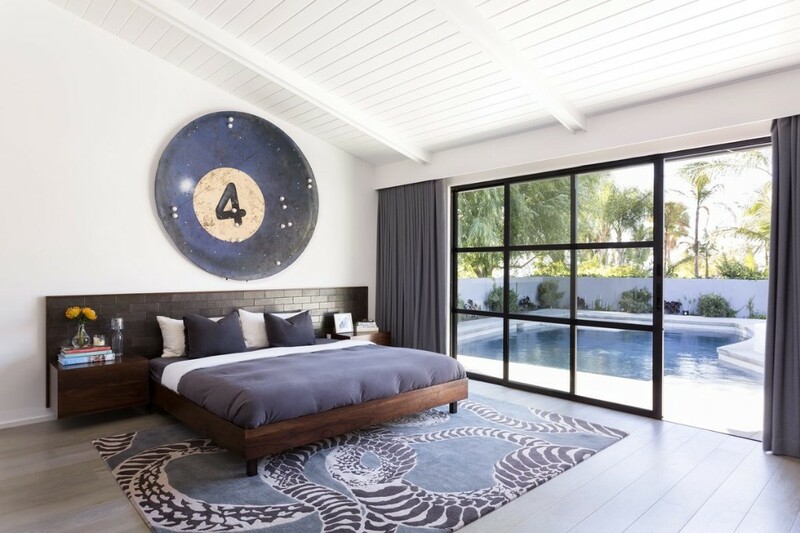 Beautiful blue bedroom design by Brown design Group with a pool view. 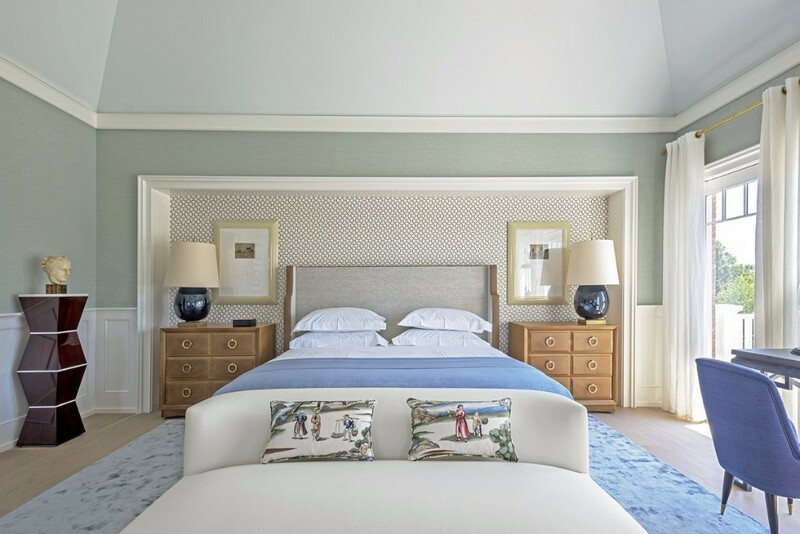 Beautiful Kensington Master Bedroom by Carden Cunietti with gorgeous blue walls, charming orange highlights, and a beautiful bedroom bench. 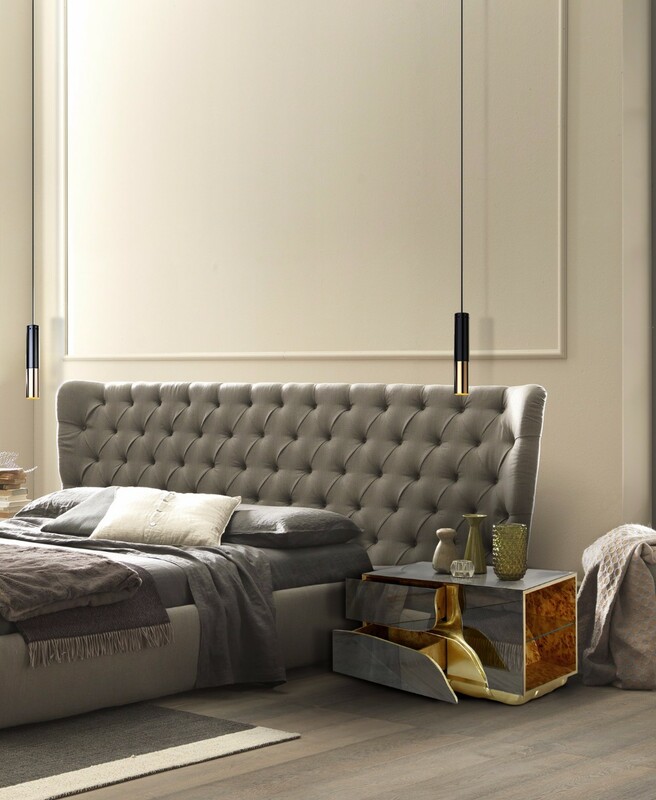 A contemporary bedroom with gray walls and minimal shades by Dimore Studio. 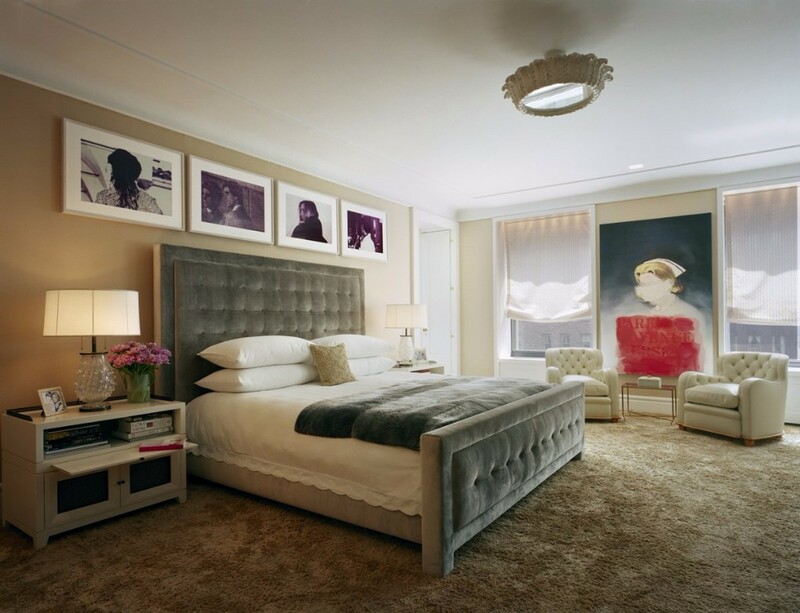 Charming bedroom design in black and white by Meyer Davis with cream tones and a fur blanket. 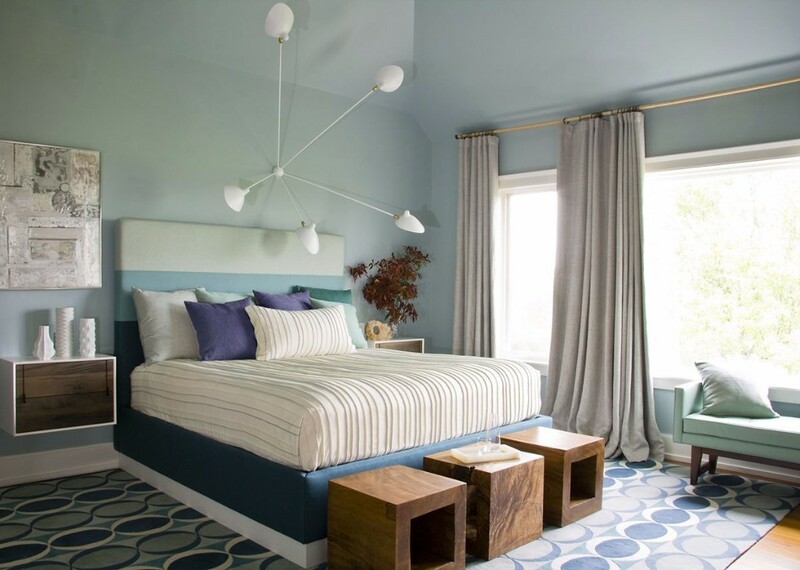 Bridgehampton Beach House by Amy Lau Design with toned down blue tones and beautiful wooden bedroom bench. 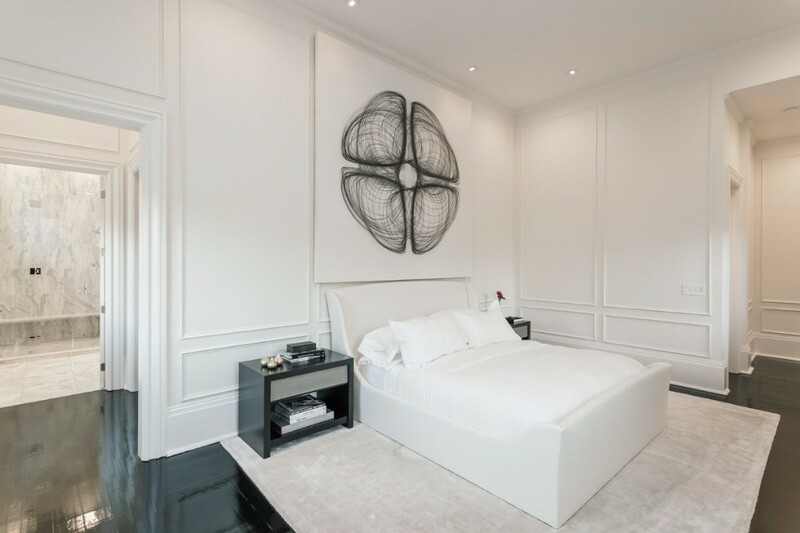 Contemporary bedroom design by Brown Davis Interiors with a beautiful exuberant leaf serving as detail. 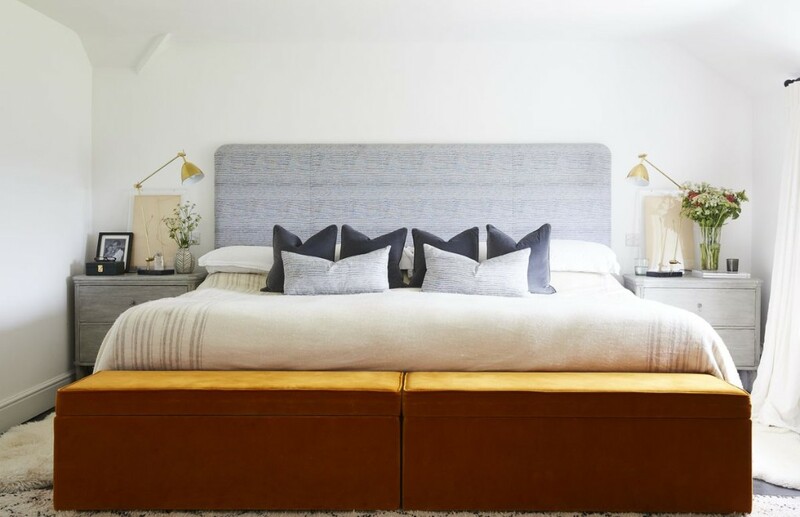 Cottage style bedroom by Studio Ashby with a sleek bedroom bench in orange with a pair of table lamps. 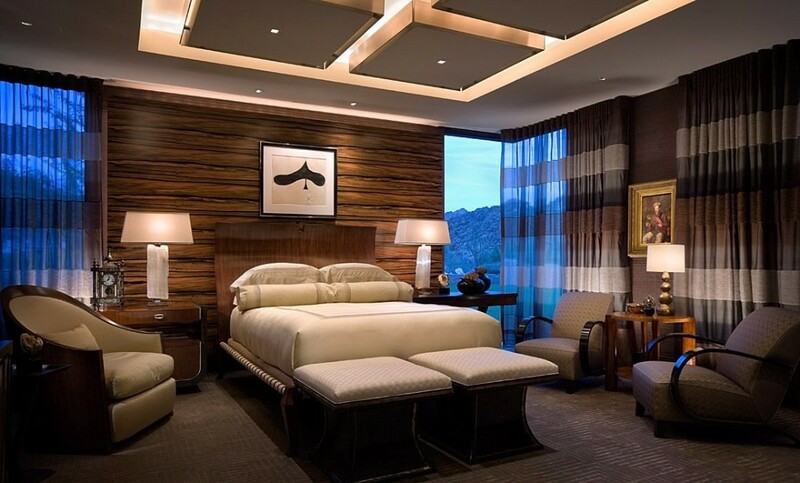 Desert Vogue Bedroom by Harte Brownlee & Associates with dark wood tones, a charming pair of armchairs and a contemporary pair of gorgeous white table lamps. 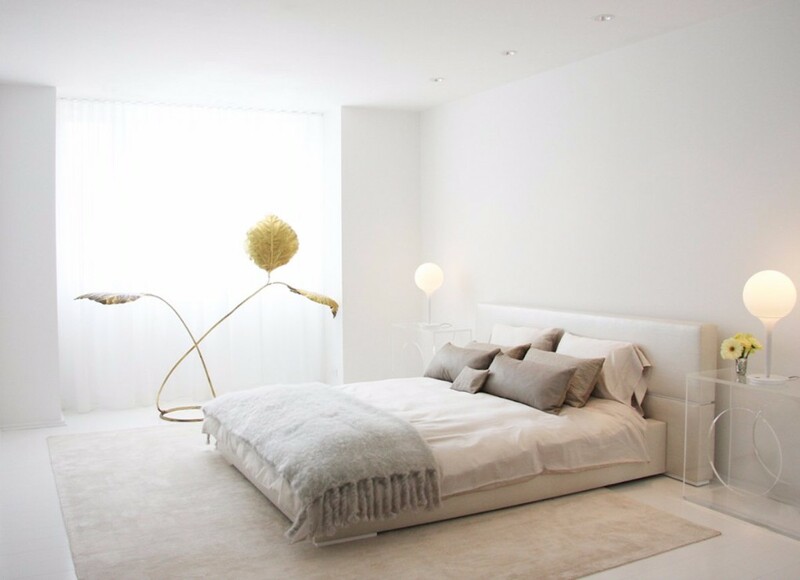 Gorgeous Beach Style Bedroom by Kemble Interiors with golden tones over white, cream and neutrals. 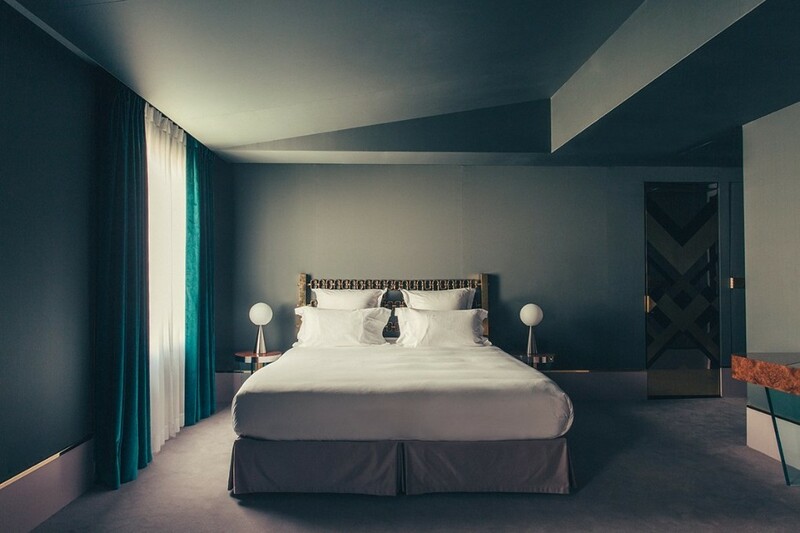 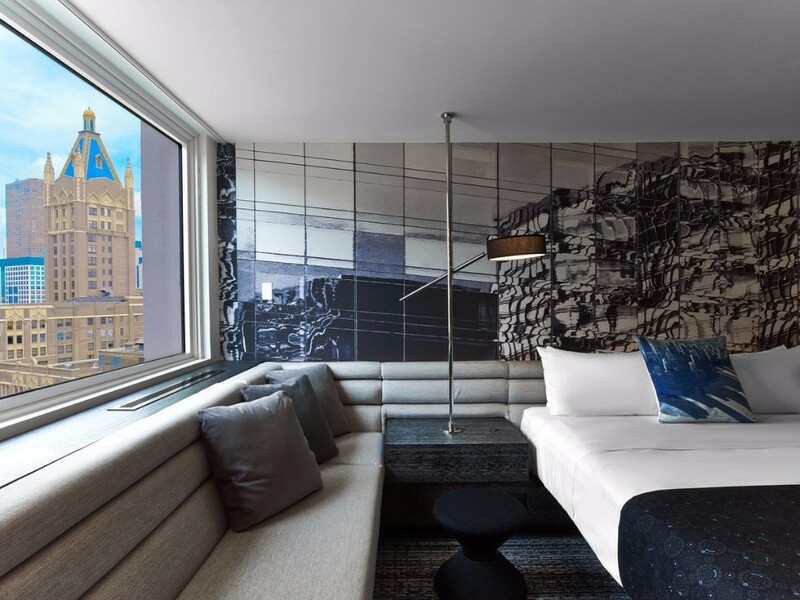 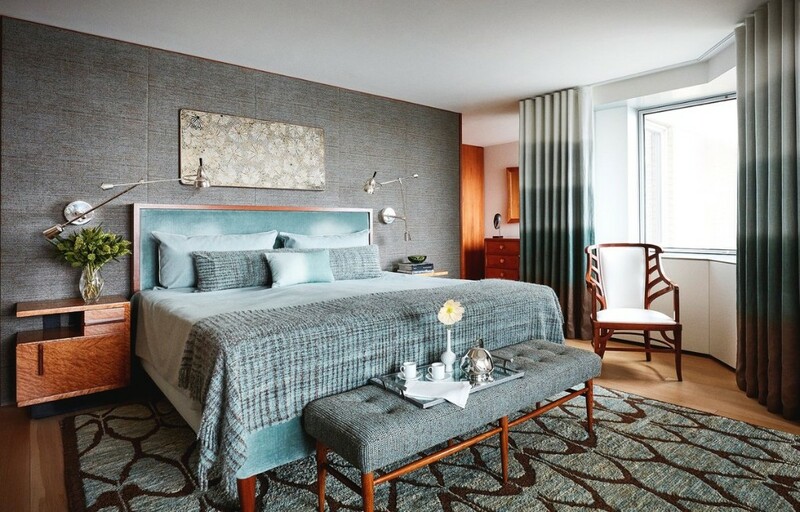 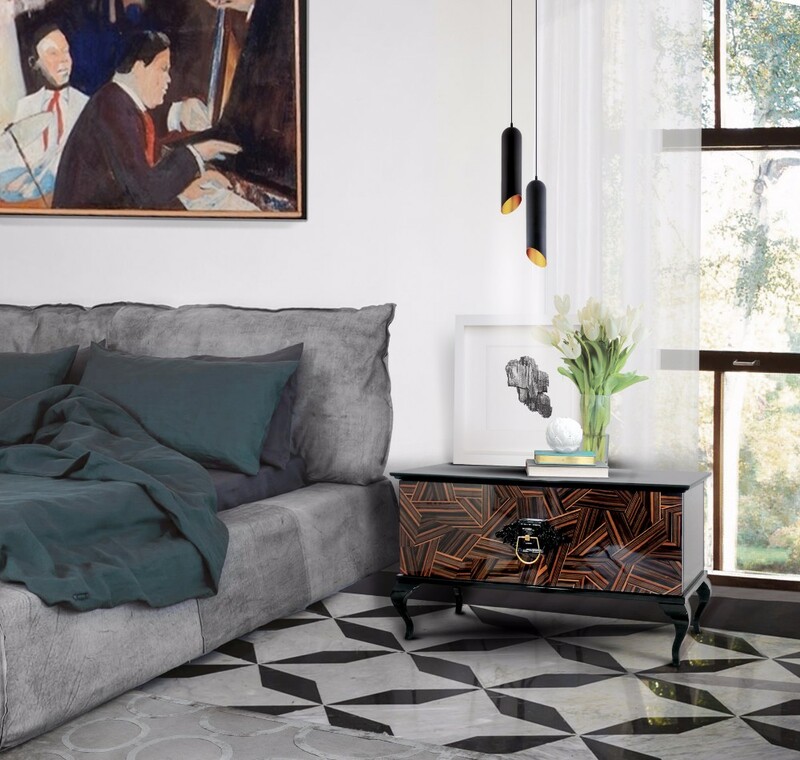 Gorgeous mid-century modern bedroom design in East End Avenue by Amy Lau. 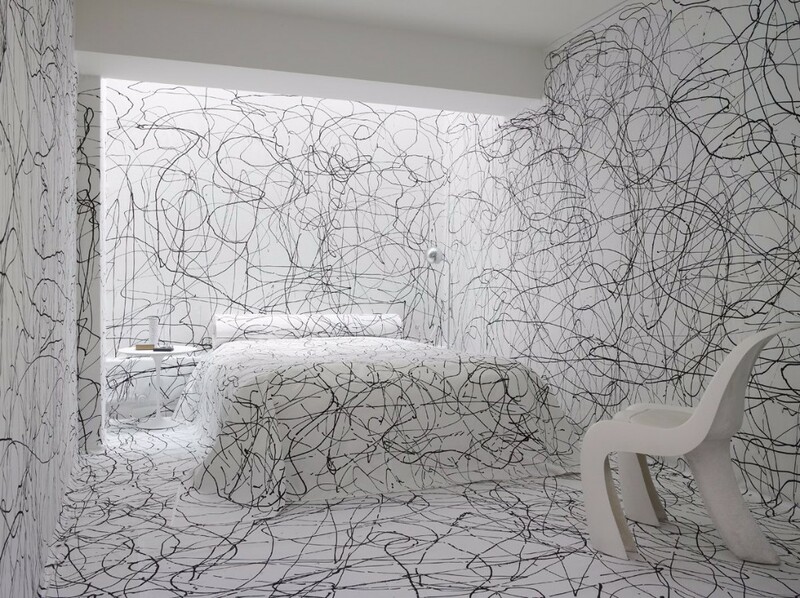 Very good desine .keep on updating me abt it .